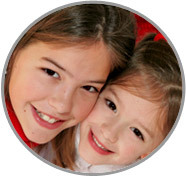 Nanny Agency in Manhattan NY providing Career Nannies to Families. Call ABC Nanny Source Today! "What impressed me the most about finding a nanny with ABC Nanny Source was the level of detail and organization in which such confidential information was presented. When we started our nanny search, I received an extensive profile for each nanny candidate from your Nanny Agency in Manhattan NY before the interview. Once each nanny arrived at my door, I was fully relaxed because I felt I already knew the person in front of me ~ that is how detailed these profiles were! The process was made very easy for our family with this nanny agency and within a matter of days, I hired the perfect nanny for our children!" Yoon is proud to be accepted by ABC's Nanny Agency in Manhattan NY! Feel free to call 212-755-0080 today to speak with a placement counselor in more detail so you can find your Manhattan NY Nanny right away!